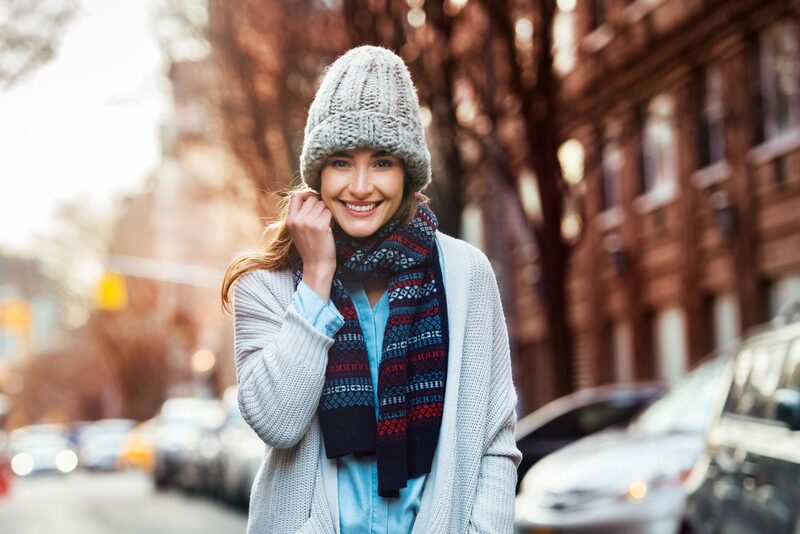 All of us have our fingers and toes crossed that our skin will age well, but instead of putting it down to pure luck, Dr Suzie lets us in on her top tips for keeping your Winter skin looking smooth and clear, while still maintaining a natural look. The absolute best way to minimise the formation of wrinkles is to always wear a mineral sunscreen, every single day—rain or shine. I recommend a physical sunscreen with at least 20% zinc for sufficient protection from UVA and UVB rays. Unlike a chemical sunscreen, a physical formula helps to create a physical barrier against the sun’s harmful UV rays, instead of absorbing them. To take it a step further, opt for mineral makeup over conventional products. Mineral Makeup Foundations and powders double up as a physical sunscreen. Although it shouldn’t be relied on for complete sun protection, every little bit helps in deflecting the sun’s harmful UV rays. Very few realise that dehydrated skin is a breeding ground for fine lines and wrinkles, only second behind sun exposure for the leading cause of skin damage. The skin is made up of 70% water which depletes as we age, it is vital to keep the skin fully hydrated with drinking approximately 2 litres of water a day, along with the use of topical products. We all know the implications of smoking and how it dramatically affects our health, however very few realise the effects it can have on your skin and ageing. How does smoking lead to wrinkles you ask? The nicotine in cigarettes causes narrowing of the blood vessels in the outer layers of your skin. This impairs blood flow to your skin and with less blood flow, your skin doesn’t get as much oxygen and important nutrients, such as vitamin A. Many of the chemicals found in tobacco smoke also damage collagen and elastin, which are fibres that give your skin its strength and elasticity. As a result, skin begins to sag and wrinkle prematurely. Finally, repeated exposure to the heat from burning cigarettes and the facial expressions you make when smoking — such as pursing your lips when inhaling and squinting your eyes to keep out smoke — can also contribute to wrinkles around the eyes and lips. Chemical peels are also a great way to chemically exfoliate dry dull skin; peeling away epidermis that’s full of pigment and freshening up with a clearer complexion. Jessners chemical peels or a Lactic Acid or a Glycolic Peel are my favourite Winter time peels to get skin fresh and a glow. Alcohol can have detrimental effects on your skin, including redness and dehydration. Not only does alcohol dehydrate your body, but it also affects the skin, causing it to look dull. When you drink alcohol it causes your kidneys to work double time to remove excess water from your system and leaves your organs (remember, your skin is your largest organ) parched. Skin that’s dry from the inside not only wrinkles faster than moist, dewy skin does, but it can also appear pale or grey – this is triggered as alcohol robs the body of vitamin A – an antioxidant that’s crucial for cell renewal and turnover. The secret to ensuring you don’t have long-lasting damage is adding in Vitamin A to your topical skincare routine. Try Vitamin A night cream every night you’ve consumed alcohol to reverse the damage done by those drinks! It’s important to only apply vitamin A at night, as it makes your skin extremely sun sensitive and can cause sun damage if worn during the day. It is considered that diets high in refined sugar can speed up the ageing process. Sugar affects elastin and collagen fibres, making them brittle, which can lead to the formation of fine lines and wrinkles. Food fix: Cut back on cakes, biscuits, lollies, fruit juices and processed sauces. Keep sweet treats to a minimum and instead look for natural alternatives such as fruit or sugar substitutes such as stevia. If you are having an off-week and need a last minute skin pick-me-up, try gently tapping micro-wrinkle cream, like Instantly Ageless around your eyes for a dramatic and immediate age reversing effect. The tightening properties will give your under eye bags an effective yet natural lift. Avoiding these 6 Skin Sins will have you ageing gracefully as our skin undergoes lots of changes as we age. As the fat, collagen and elastin in our skin break down over time, you’ll see more fine lines and wrinkles start to crop up. My secret weapon to rejuvenate and volumise skin is PicoSure FOCUS Laser Treatments, this stimulates collagen production which in turn supports the skin and helps to defy the signs of ageing. However, any fractionated laser will impressively remove sun damage and pigment and improve texture and IPL for lighter skin types is also a powerful tool for clearing complexion of freckles and sun pigmentation. Winter is a great time to use IPL and lasers as we have had less heavy sun exposure to complicate the treatment. Stress can interrupt sleep patterns—a key component for skin and body repair. Coupled with stress, skimping on sleep weakens the immune system and puts the body’s chemicals out of sync, often leaving you with dull skin and tired eyes. Are you concerned about your skin?Talk to our team of expert trained doctors and nurses about the range of skin treatments available at Taylor Clinic. Contact us on 1300 003 223 or contact us here.